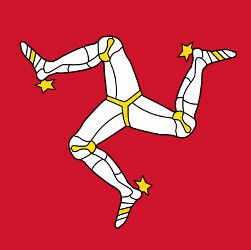 The Isle of Man is known for being an important online gambling jurisdiction, and the Isle of Man Gambling Supervision Commission is at the core of that. They’ve been around since 1962, and they eventually became more well-known for their regulatory actions surrounding online gambling than they are for their land-based gambling activities. They’re such a popular jurisdiction primarily because of how fair they are to players, thus giving the sites weight towards being trustworthy, but also because their tax rates are pretty favorable. Overall, this is a jurisdiction that any player should be happy to see on a site they’re playing with. There is a very clear line between what the commission can and cannot do as per their licensing agreements. For example, something the commission definitely cannot do under any circumstances is force a site to return funds that were bet by choice in a fair gambling game. However, they can and will help to recover fair winnings if a casino or other gambling site fails to pay out when they are supposed to, and that’s the one thing that players probably like the most about playing with sites licensed here since they don’t actually have to be from the Isle of Man to take advantage of these services. Additionally, there are a number of other tasks the Isle of Man Supervision Commission is in charge of. First, they are always monitoring the activities of all of their licensees, whether it’s how they handle in-house disputes to how they handle their advertising. They also make sure the games are fair with their own independent testing of individual games and overall software, and they make sure that their licensees are obeying certain levels of compliance to their rules about fair play. Something that’s really interesting about this commission is that they’re very pro-active with keeping the trust of their players. Along these lines, they will directly investigate complaints with merit from players, and they’re very active about protecting the funds of the players at the sites they license. This is a lot different than some jurisdictions that are less regarded like Costa Rica that have a completely hands-off approach and could seemingly not care less than they currently do about whether or not their players’ funds are safe. The bottom line is that the Isle of Man Gambling Supervision Commission offers incentives for companies like legitimacy and favorable tax rates while simultaneously staying on the side of the players and making sure that they’re taken care of in a major way.